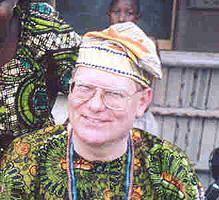 From 1976-2002 I was based at the African Regional health Education Center in the University of Ibadan, Nigeria. I continue to work on projects in Nigeria and other African Countries through Jhpiego and other USAID grantees. My major research focus developed from my time in Nigeria and includes learning about the social, cultural and behavioral aspects of health and illness, especially in tropical contexts with an emphasis on programs designed around primary health care, community participation and health education. I have endeavored to learn about health and health care from the community's perspective in order to develop communication bridges between consumers and providers, to learn appropriate community participation mechanisms and to strengthen community capacity during intervention research. My teaching brings these experiences to the learners through online courses at JHU as well as Coursera. Some projects include 1) community directed malaria control in Nigeria and Burkina Faso, 2) Strategies to eradicate guinea worm and 3) factors associated with annual compliance with ivermectin treatment for the control of onchocerciasis. I have served on various technical advisory committees dealing with child health and tropical diseases. Member, Task Force on Community-Directed Treatment of Lymphatic Filariasis and Onchocerciasis (1999) and Task Force on Filariasis Intervention Research (2000, 2001), Special Programme for Research and Training in Tropical Diseases, World Health Organization. Eunice Tyler Practice Award, March 2003, Department of Health Behavior and Health Education, School of Public Health, University of North Carolina; awarded to alumni who have "made a notable impact on public health education." Brieger WR, Sommerfeld JU, Amazigo UV, CDI Study Group. The Potential for Community Directed Interventions: Reaching Under-Served Populations in Africa. International Quarterly of Community Health Education. 2015; 35(4): 295–316.